The NT’s highly talented engineering innovators and guests joined in a celebration for the Engineers Australia’s Northern Division’s annual Engineering Excellence Awards at an awards dinner at the CDU’s Casuarina Campus last Friday. The night highlighted the success and achievements of the CDU’s Desert Rose Project. Winning the Highly Commended Award, the Desert Rose Project continues to develop applications for motors from electric bicycles and scooters to cars to deliver clean, cheap and sustainable power. 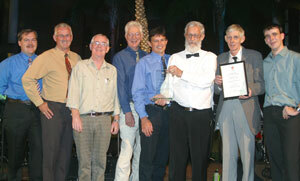 The engineering excellence of individuals was also recognised with Lawrence Stubbs, former CDU lecturer in mechanical engineering and project leader, declared the Professional Engineer of the Year. 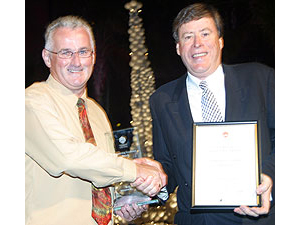 The Engineers Australia Northern Division’s 2006 Engineering Excellence Awards featured a diverse range of projects and highlighted the NT’s continued pursuit of engineering excellence. The black tie affair was attended by over 250 guests and is the premier event on the calendar of Engineers Australia Northern Division.